Nutritional support of the intestines is the cornerstone of health and vitality in horses, and is reflected in the horse by its perfect condition. Opkikker is the concentrate feed supplement with live probiotic yeast for a perfect condition. The modern horses live on manufactured feed, have regular competitions, work and travel. This can lead to both nervousness and metabolic problems, often visible due to a lack of condition. 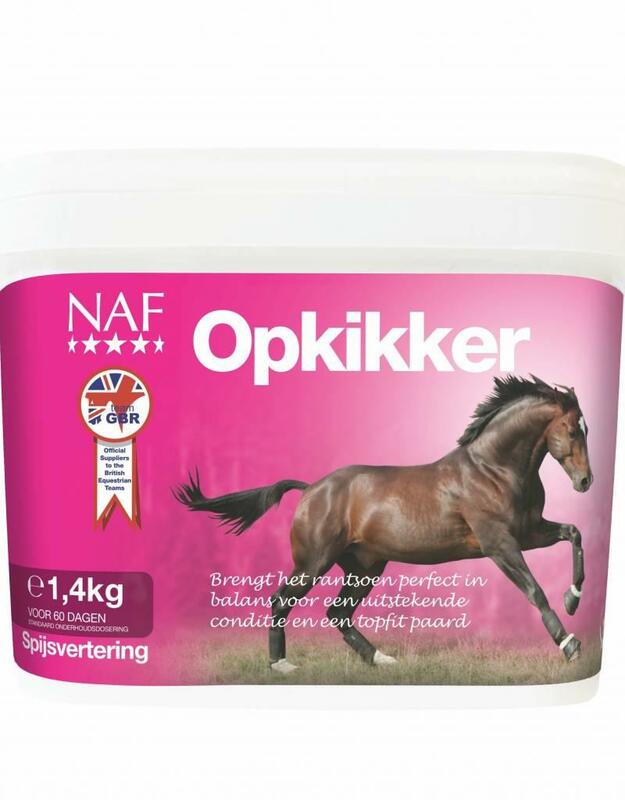 Opkikker is one of the most advanced nutritional preparations available today to improve the diet of sports and recreational horses. It is a unique, concentrated feed supplement, composed on the basis of living yeasts and probiotics and designed to optimize bowel function and the natural digestive process. This makes it possible for the horse to fully utilize its food and maintain a perfect condition. Plus, because it contains high quality vitamins, minerals and trace elements, it supports perfect health, vitality and performance.